Mercedes-Benz's GLC is the hottest ticket in the automaker's lineup, with buyers in the United States snapping up close to 70,000 units last year. 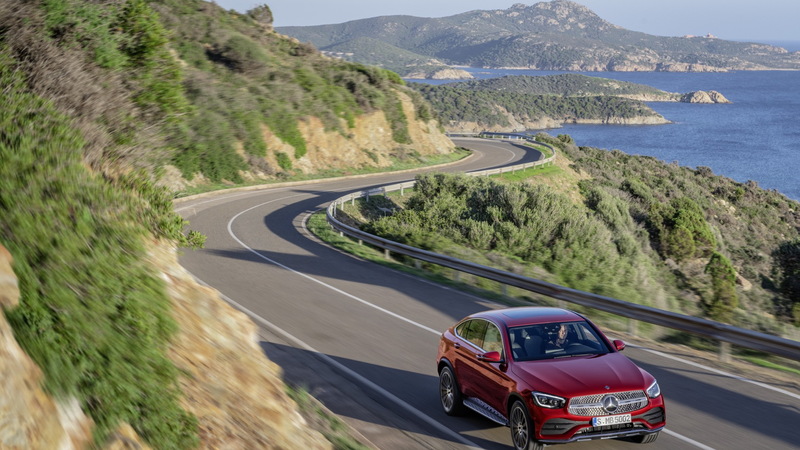 To keep things brimming, Mercedes unveiled an updated 2020 GLC earlier this month at the Geneva International Motor Show, and on Tuesday we got our first look at the updated version of the crossover's GLC Coupe sibling. 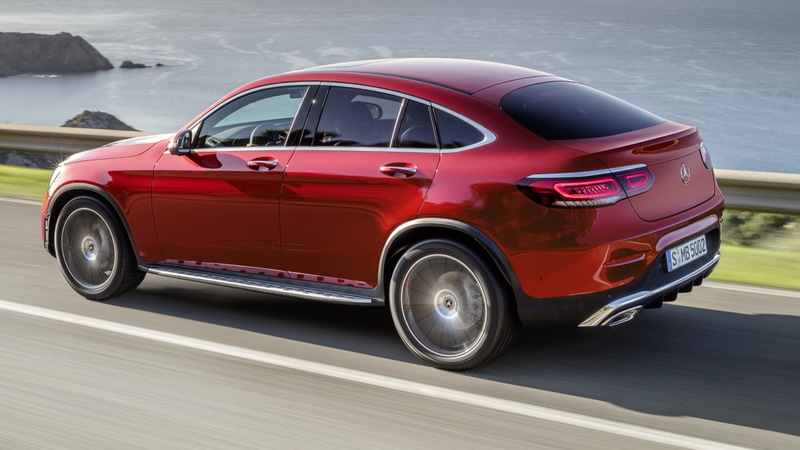 You'll easily spot the updated GLC Coupe by its more aggressive face. New headlights flank a more imposing grille and sit atop enlarged intakes in the front fascia. At the rear, the taillights keep the current model's shape but feature a new light signature. 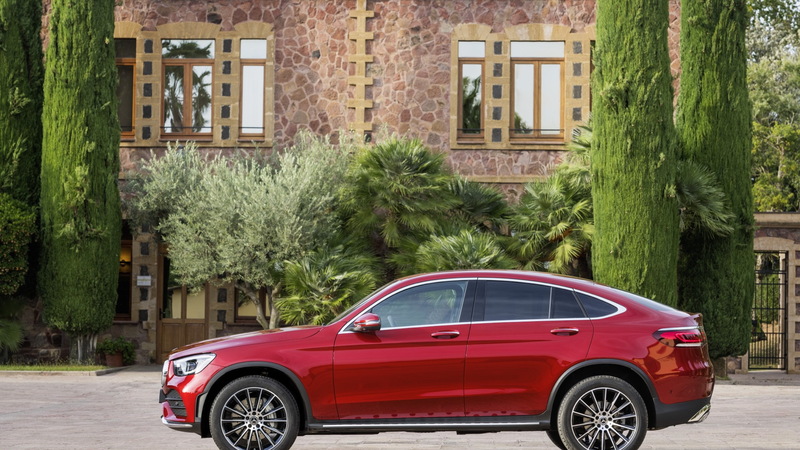 Beyond the subtle visual tweaks, the updated GLC Coupe benefits from more power, as well as an enhanced infotainment system and more advanced electronic driver aids. 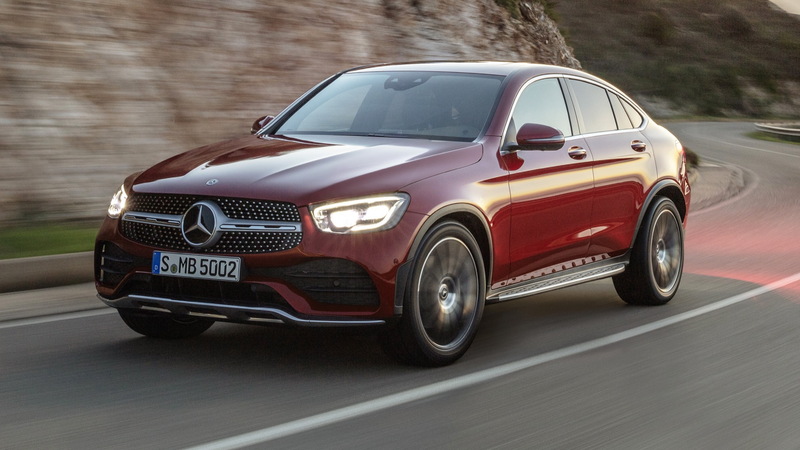 Only the base model has been announced so far, the GLC300 Coupe, which features a 2.0-liter turbocharged inline-4 with 255 horsepower and 273 pound-feet of torque. That compares to the current GLC300 Coupe's 241 hp and 273 lb-ft. The new engine is also said to be more efficient, though EPA-rated numbers will be only arrive at a later date. Forming the rest of the mechanical package is a 9-speed automatic and standard all-wheel drive. The regular GLC comes standard with rear-wheel drive. Buyers seeking more power can look forward to updated versions of Mercedes-AMG's GLC43 Coupe and GLC63 Coupe, which are still in the works. The layout of the updated GLC Coupe's interior hasn't changed much from the current model but there is some new technology, such as an available 12.3-inch digital instrument cluster and an infotainment system with a 10.25-inch touch-screen display. The infotainment system runs Mercedes' own MBUX operating system, and interacting with the system can be done via the screen itself, or using touch-sensitive controls on the steering wheel, a touchpad in the center console, natural-speak voice activation, or even gesture control. MBUX also incorporates Apple CarPlay and Android Auto smartphone integration. The list of electronic driver aids, either standard or available, include an adaptive cruise control system that can adjust speed based on traffic, as well as your selected routes, for example slowing for turns or an upcoming junction; steer assist designed to keep you in your lane; automatic emergency braking; automatic speed limit adaption, and blind spot warning. The blind spot warning can also warn passengers about to open a door if there's an approaching vehicle or cyclist. 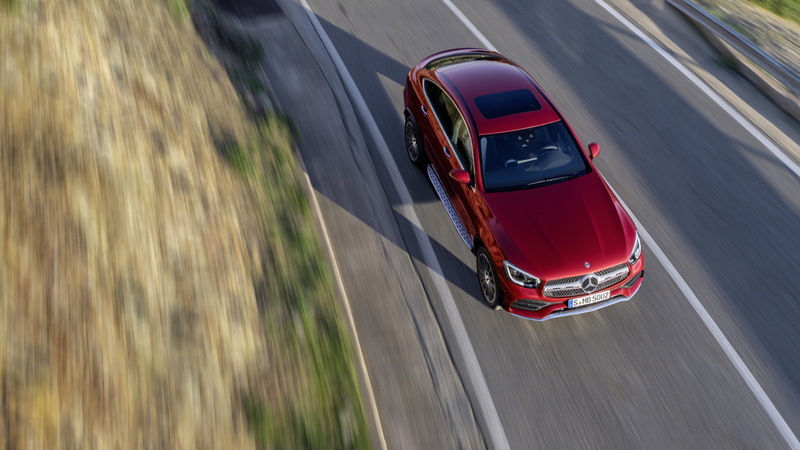 The updated GLC Coupe will formally debut at next month's New York International Auto Show before reaching showrooms alongside the regular GLC in late 2019, arriving as a 2020 model. Pricing hasn't been announced but expect the 2020 GLC Coupe to start close to the 2019 model's $47k base sticker.